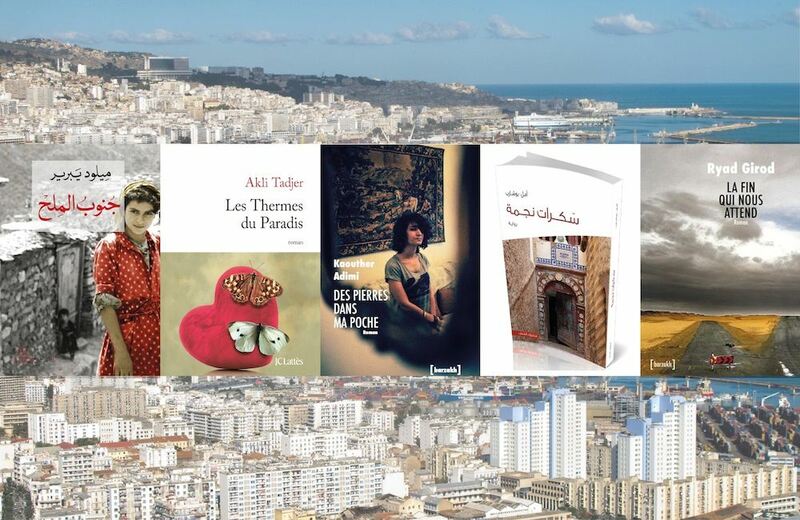 Algerian literature was celebrated regionally and globally in 2015. But beyond the surface of the big names — the Kamel Daouds, Boualem Sansals and Yasmina Khadras — what else was going on? Nadia Ghanem looks back. Algerian literature this year has been marked by familiar names within and outside our borders. The year 2015 has been the year for Boualem Sansal’s 2084: The End of the World (La fin du monde), Yasmina Khadra’s The Dictator’s Last Night, Waciny Laaredj’s Ø§ÙØ¹Ø±Ø¨Ù Ø§ÙØ£Ø®ÙØ± (The Last Arab Man, soon to be translated in French by Marcel Bois), Anouar Benmalek’s Le fils du Shéol (The Son of Sheol), Maissa Bey’s Hiziya, Amin Zaoui’s ÙØ¨Ù Ø§ÙØ­Ø¨ Ø¨ÙÙÙÙ (Just Before Love), and Kamel Daoud’s The Meurseault Investigation crowned-in-translation. Internationally, these novels will have a distribution-life of their own, independent from the distribution-fate that awaits them in Algeria. Given the international status of these authors, their national distribution will no doubt be privileged over titles from voices just as talented, often more, that don’t and won’t benefit from the same support. Within the country, well-known obstacles continue to handicap the circulation of books and, as a result, seriously handicap access and readership. Some of these barriers are structural, some organisational, and some are born out of sheer idleness from all involved in the industry. Local and interregional distribution is abysmal. The dearth of bookshops and public libraries outside of the capital, except for a few lucky hubs, restrict distribution and limit readership. There is little circulation of information on book-releases or re-issues. In that respect, the editorial lines of national newspapers are incoherent, columns dedicated to books fill up or empty on a whim, and there are too few reviewers. More seriously for authors and readers, publishing houses don’t print enough books, or rather enough to recover costs, and this doesn’t keep a title living long. Titles are pretty much abandoned to their own devices soon after birth. Meanwhile, book prices are high. And this is just the surface. Yet despite these malfunctions in the machine, readers abound and great writers continue emerging. Events like the SILA (Algiers’ International Book Fair) reveal the existence of a massive readership across the country, and the necessity to extend such events to other cities to support book circulation, among other measures. Writers, the new and those established, continue producing and creating a vibrant literary scene, clearly more varied than our Top 10. Titles in Arabic and in French are plentiful. Authors’ styles are fresh and innovative. Themes and stories aren’t so raw about the 90s and are moving away, slowly, from that decade. To illustrate this, here is a sample of titles released in 2015 from authors we should keep an eye on. Let 2015 not gobble them up, off and away from our wish-lists and the call of our bookshelves. This selection is only one of the many tips of the literary iceberg. The end that awaits us opens at 5 am with a man observing his neighbour standing immobile at a roundabout. At 5.01am, an earthquake devastates the city and all is in ruin. This man, who will remain anonymous throughout the novel in an unnamed city, doesn’t think whether his son and wife are still alive. He wishes them dead on days without earthquakes anyway. He thinks of his lover, Douce (Sweetness) a masseuse who works in the nearby hammam. He knows his Colonel will soon call him and his unit to start crowd control, which in Algeria during a year that remains unidentified, might just mean shoot to kill –everyone. So he drinks single malt. His lover is eventually found — or rather her torso — amputated of her arms and legs, barely alive. He dreams of her and comes back the next day to shoot her in the head, with her father’s approval. Now, he’s ready to kill. Between the woman who only goes to the deserted local park at midnight to talk to her invisible lover, and the military men hiding on an island with an abundance of naked women to teach them maths on the beach, Girod has captured an absurd, disturbing and terribly fragile system in a fluid, lucid, and poetic language. The end that awaits us is Girod’s second novel. Ryad Girod is a maths teacher, born in Algiers. In Stones in My Pocket, Adimi has fun with a little soul-searching in a light and gentle language and tone. She wonders which of the two following options are more frightening: the expectations of our social environment or our own. A young Algerian woman recently settled in Paris receives a frantic phone call from her mum. She must come back to Algiers, as her little sister is getting married. This involuntary return revives all the anguish she had managed to anesthetise in her new setting. Anguish over soon turning 30, being incomplete by tradition’s standards, feeling incomplete by her hopes’ standards. Adimi’s young character counts the days before her return to the family home and dreaded gossip. She counts them like beads in the company of Clothilde the street lady, of Amina her childhood friend, and of free chips. Each thought comes to her when she touches the stones in her pocket. Stones in My Pocket is Adimi’s second novel. Kaouther Adimi left Algeria a couple of year ago to finish her MA in Paris. Tadjer is a Franco-Algerian writer who is usually first published in France, then gets published in Algeria. Paradis Spa, his ninth novel, is no exception. It was first published in France in 2014 by JC Lattès, then edited in Algeria in 2015 by Apic eds. In Paradise Spa, Tadjer speaks in the voice of a woman, specifically as Adèle. After her parents die in a car accident, Adèle takes over the family business, “Reverdy’s funerary services.” Her timidity and insecurities increase after her parents’ disappearance. With her profession, finding a partner becomes increasingly problematic. She soon realises, like her best friend Leila, a makeup artist for the dead, that men are a bit spooked by a woman who spends her days recommending headstones in the company of death. So Adele remains single in black, and keeps hoping to meet someone with whom she can make a life. She finds him at thirty, during her birthday party. Leo is a former trapezist in the Ammar circus who became blind after his quadruple backward summersault went wrong. Tadjer, in his usual burlesque style, explores how far his woman’s voice can take him in asking whether the ideal partner might not just be the one who doesn’t see your insecurities. South of Salt opens at the foot of Djelfa’s Rock of Salt, next to which Hakima is talking to Mesbah, her father, as if he were still alive. She tells him how much her mother Meriem and she still think of him, and how now his grandchild will, too. Ø§Ø¶Ù ). Medical injections throw him in an almost secondary state during which he begins to travel through his own life. He remembers the 90s in Algeria, their Ninjas and their Afghans (the first were special army forces covered from head to toe and the second terrorists dressed so that we knew them to be from Afghanistan). He remembers the alluring Djahida, met while working at his uncle’s photo studio, and how his lust for her inspired him to become a prize-winning photographer. Like his author Miloud Yabrir, Mesbah is from Djelfa and we discover through them the city’s magic, its biting winter cold, and the wondrous natural phenomenon of the city’s natural Rock of Salt. South of Salt is Miloud Yabrir’s first novel, for which he won the Sharjah prize for best creative Arabic fiction. It was edited by Dar El Jadeed and recently presented at Beirut’s International Book Fair. He previously published a collection of short stories. Miloud Yabrir is a doctor who currently practices in Blida. Sakarat Nedjma (Flickers of a Star) is the thriller of the year. Bouchareb has woven a very entertaining and daring story around the “Khamsa” (aka the Hand of Fatma), its meaning and the enigma of why it features right in the middle of our Algerian passports, in gold among the green, below the moon crescent and star, above sun rays, aside wheat and olive branches. Ilyas Mady is found stabbed in his grandfather’s apartment in Telemly, Algiers. Mady is both Italian and Algerian, and his dual citizenship puts pressure on Inspector Ibrahim and his team to find the murderer. Ilias Mady was a world-famous artist who taught art in Turin, and had come back to Algiers at the request of Sheikh Ben Haroun to solve a puzzle. What is the origin of the Khamsa? For Sheikh Abdallah, a historian specialising in ancient secrets, it is originally a Jewish symbol, each fingers of that precious palm representing one of the books of Torah: the Exegesis, Exodus, Leviticus, Numbers, and Devarim. For young Ishaq, symbols don’t have a single point of origin, they come from a shared past in which members of the community have participated. When Ibrahim finds Ben Haroun’s number in the dead man’s pocket and traces Ermano Bergonzi’s calls to Turin, the net takes on an international angle and the enigma becomes deadly. Sakarat Nedjma is Amal Bouchareb’s first novel. She published a collection of short stories last year. Bouchareb was born in Damascus. She lived in Turin for many years and currently resides in Algeria. Considered synchronically, these novels share many traits. Stories are set in wet spaces like spas andhammams (Girod, Tadjer and Adimi), with masseurs and masseuses in Girod and Tadjer’s stories. Main characters are anonymous (Girod and Adimi). A recurring persona is the wanderer, portrayed often as homeless (in Yabrir, Benmalek, Girod and Adimi’s stories), and as a wandering consciousness (in Yabrir and Benmalek). Novelists continue to explore Algeria’s Jewish heritage (in Bouchareb and Benmalek), to discuss its place in Algerian culture — despite the official ‘reinterpretation’ of emblematic historical figures. Memories and thoughts are triggered by rubbing spherical things. This is notably present in Adimi’s novel and is the main thread in Amin Zaoui’s Le Miel de La Sieste (the Honey Nap published in 2014). The circular things Zaoui’s character fondles in his pocket, however, are a little more surprising than stones. An indication that the shape of erotica in Algerian lit might be spherical and not phallic.